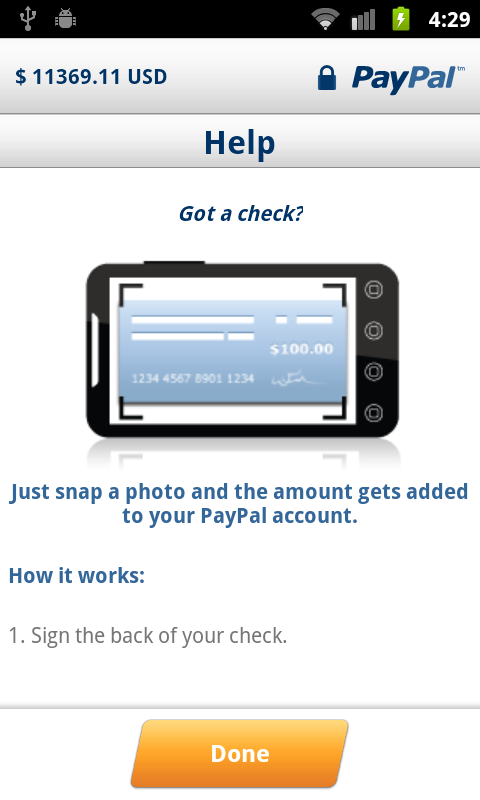 PayPal is one of those things that some people in the modern world, just can’t live without. It allows you to buy securely from almost anywhere, send money as a gift, view account balances and countless other things. The PayPal Android app was something that did all of that originally, but as of today you are able to do one more thing – deposit checks. The iOS version of PayPal app received this feature back in October of 2010, but we’re the types to say, “Better late than never.” Also added in this update is the ability to move the app to the SD Card for storage.